Plymouth City Council and local bus operators are working together to improve the reliability and punctuality of bus services throughout the city. The new Bus Punctuality Improvement Partnership will bring together representatives from Plymouth Transport and Highways (the partnership between the Council and Amey) and Plymouth Citybus, First Devon and Cornwall, Target Travel and Western Greyhound. All of the partners have signed an agreement setting out shared targets for ensuring that bus services are reliable and on time. They will work together to promote sustainable travel and develop a high quality public transport network that is an attractive and viable alternative to the private car. Members will identify areas where timekeeping and reliability are causing concern, gather appropriate data and information, develop potential solutions and monitor progress. Plymouth’s partnership will be the first in the country to include a representative from Passenger Focus, the Government body responsible for championing bus passengers. This will ensure that the passenger’s voice is represented in any decision making. Marc Reddy, Managing Director of First Devon and Cornwall, said: "We completely support the development of this bus punctuality improvement partnership. It will have a positive impact on the city, requiring bus operators such as ourselves as well as the Council to work together to address the issues that cause congestion and delay services. This is a real step forward for bus operations in Plymouth and the significance of this agreement should not be underestimated." I do hope that this is something more useful than just a talking shop and that we will see results. 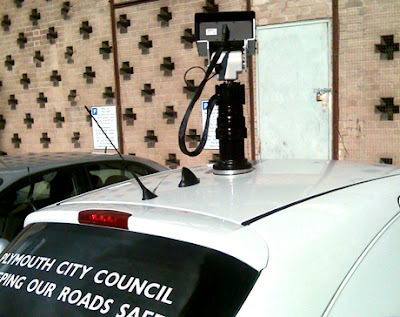 It seems that the main weapon the council are using is the new camera car which is proving deeply unpopular with taxi drivers especially. If the council really wanted to help the buses run on time then they need to sort out the main areas where congestion is at its worst. Derriford Hospital, Manadon Roundabout, Drakes Circus, being just three areas which regularly hold everything up. A couple of camera cars and improved scheduling is not going to make a lot of difference to buses running on time when it takes a bus up to half an hour to get in and out of Derriford Hospital!